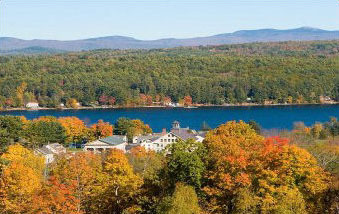 Nestled among rolling hills and sparkling blue lakes, you’ll find the small New England town of Enfield, New Hampshire. Chartered in 1761, this lively community has expanded over the years thanks to the spread of the railroad and the industry boom. More recently, growth has been driven by Dartmouth College and the regional hospital DHMC. With Mascoma and Crystal lakes, the Northern Rail Trail, and the Historic Shaker District all mainstays of this town, real estate in Enfield, NH, offers plenty to see and do for the family. 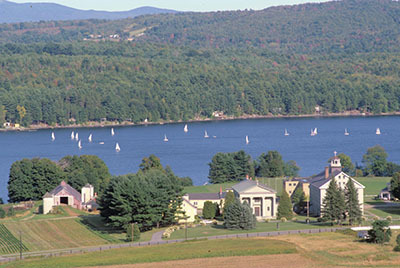 Among the most defining features of Enfield is Mascoma Lake, forming the lowest point of the town. This sparkling body, home to the Dartmouth sailing team, provides entertainment throughout the year, with water sports in the summer and ice fishing in the winter. Nearby Crystal Lake also presents a great fishing spot that I have occasionally frequented on warm, sunny days. Enfield, NH, wouldn’t be what it is today without the historic Shaker settlement within the town. These hardworking people ushered in new industry, bringing in new citizens to work and live in Enfield. The Enfield Shaker Museum stands today as a memorial of their early community, where residents and visitors can tour the Great Stone Dwelling and learn about early Shaker education and business. Another product of the Shaker settlement was the introduction of the Northern Railroad, one of the greatest influencers of Enfield’s industry and expansion. This important railway transported both freight and passengers through New Hampshire and still serves today as one of the highest-rated walking, biking, and horseback riding trails in the United States. Residents of all ages can follow the path of the railway and enjoy Enfield’s scenery. If you’re looking for a quiet yet vibrant community with a great deal of history and natural beauty, a house in Enfield may be perfect for you. The whole family will enjoy exploring this beautiful Northern town. To learn more about real estate in Enfield, NH, give me a call at 802-457-2244.